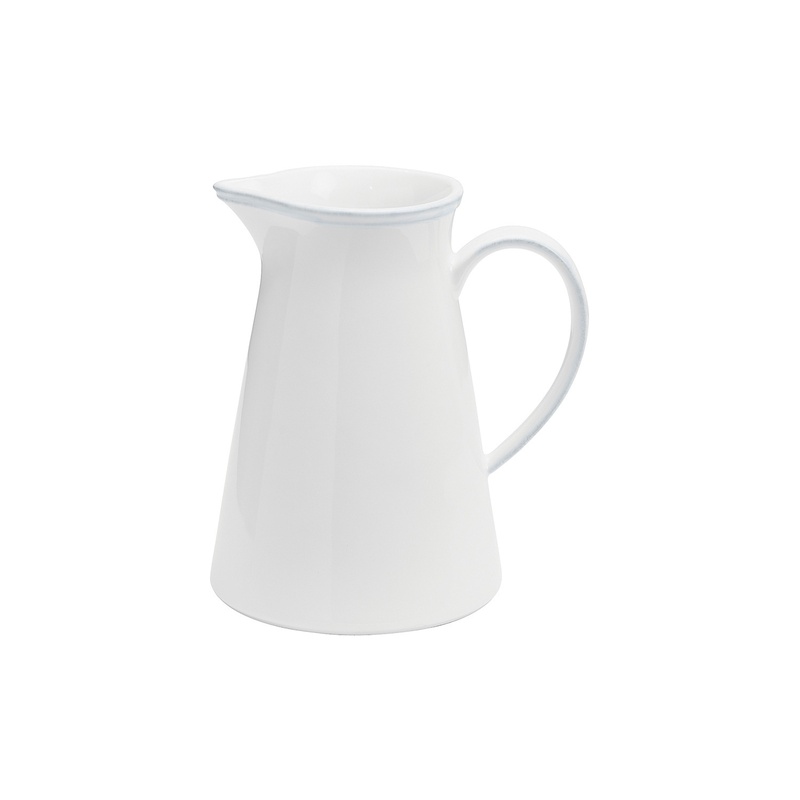 Costa Nova Friso White Pitcher. 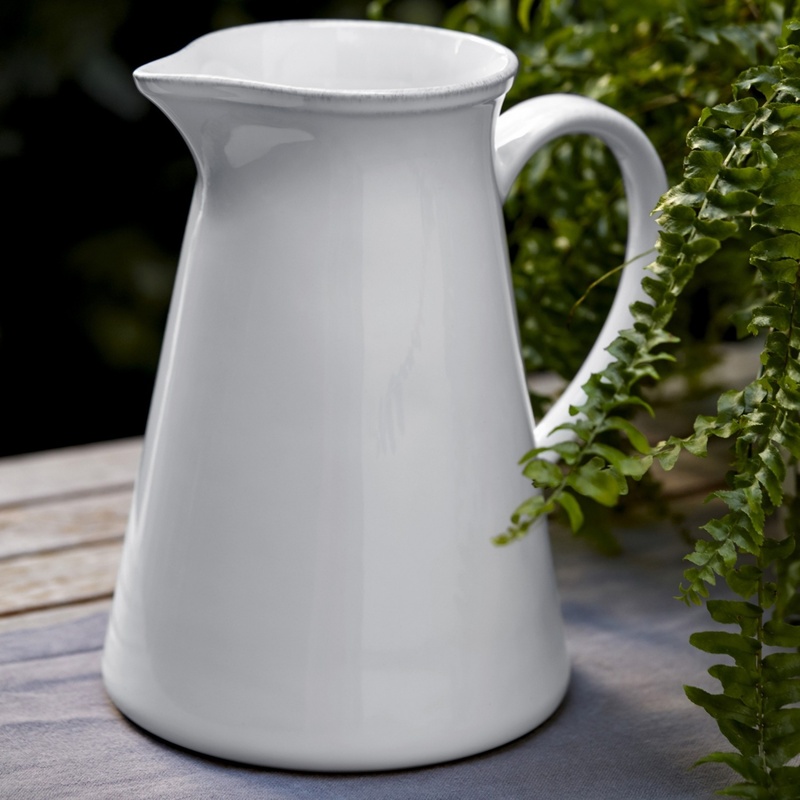 Made by the masters of Portegese ceramicware, our Friso dinner and servingware is a beautiful example of relaxed elegance for the table. Simple in style, Friso also provides just enough detail to have your food framed with a rustic texture border. High fired, freezer, oven, microwave and dishwasher safe, these pieces will provide you years of enjoyment at your table. Plate measures 8 x 5.75 x 8.5-Inches. Holds 56 fluid ounces. This is a stock item in our store. Your order will be shipped within 2 business days. On the rare occasion this item is out of stock, we will contact you and let you know when it will become available. 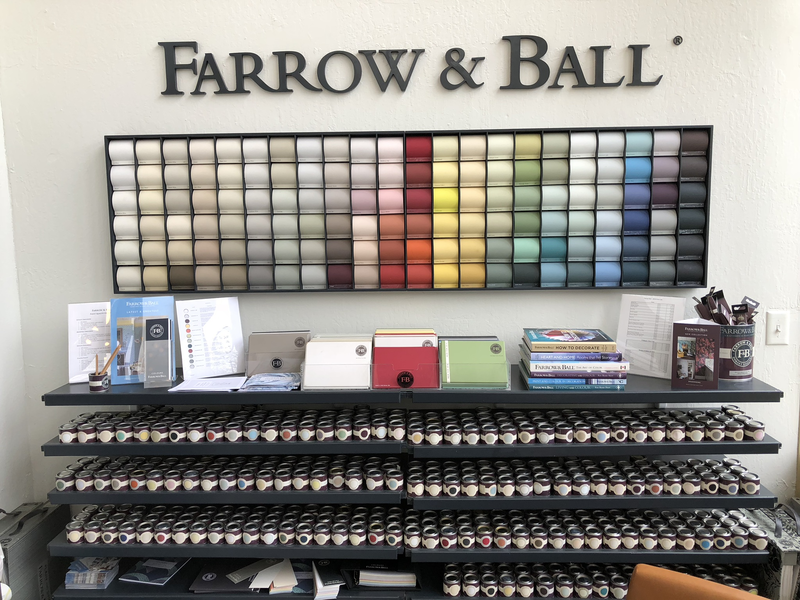 If you need more information on this or coordinating items, please call us at our brick and mortar store (925) 718-5533 during our normal business hours. One of our friendly and knowlegdable staff members will assist you.